Bronte has been dancing since the age of 4 and joined The Jazz Factory family when she was 9. Since then she has been fascinated with the beauty of dance and has found a love for sharing her passion with others. Her achievements include reaching and completing up to the Elementary Level in the ATOD Exams, as well as representing The Jazz Factory in numerous troupes at eisteddfods and charity events. In 2013, she had the opportunity to go to New York and study at the Broadway Dance Centre for 2 weeks. During this time, she strived to educate herself in all forms of dance, and was excited to gain extensive knowledge and experience within dance culture. She can’t wait to go back one day and take more classes. Bronte started assistant teaching when she was 13 years old, and this is where her love for teaching began. Seeing how much the kids looked up to a teacher was an inspiration, along with being able to pass on dance technique and skills. 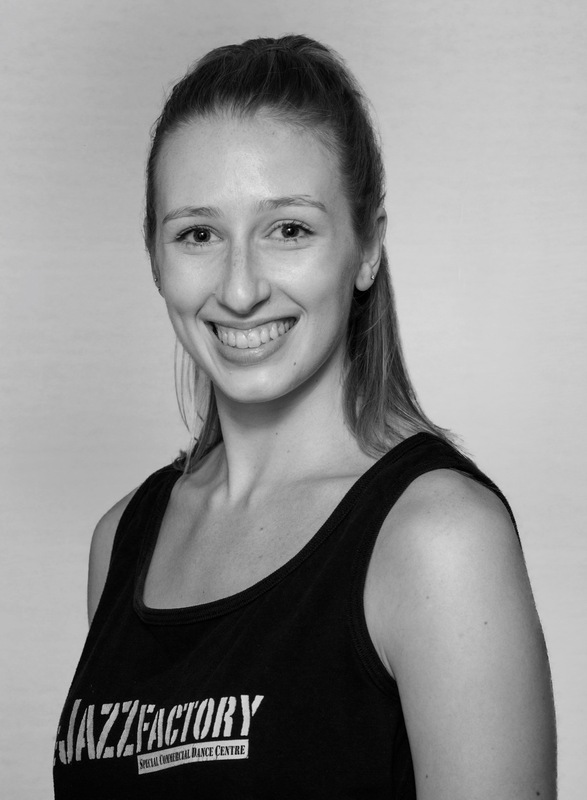 She is currently studying exercise science and public health at University, which has heightened her knowledge for health and fitness, enabling her to integrate this information within the studio, helping students and classmates reach their full potential in all ways possible.